Representatives for some Russian and Chinese agencies and state structures signed on Tuesday nine documents on cooperation in the sphere of humanitarian contacts, education, culture, tourism, cinema, health care and sports. 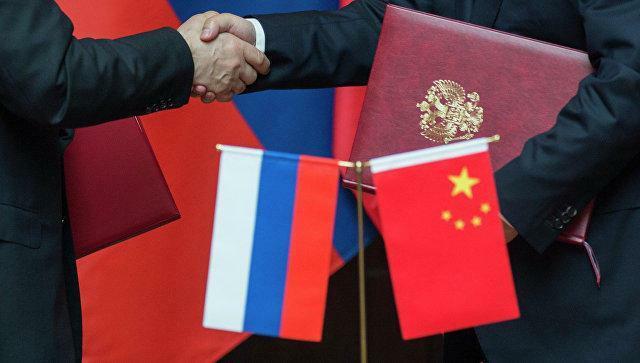 The signing ceremony was held at the Diaoyutai State Guesthouse in central Beijing in the presence of Russian Deputy Prime Minister Tatyana Golikova and Vice Premier of the People's Republic of China Sun Chunlan, TASS reports. "The cooperation between our countries has entered a completely new stage. It will have a positive influence over pragmatic contacts between China and Russia," Sun Chunlan stressed. She noted that both sides are constantly working on new projects and expressed hope for their successful implementation in the future. Among the important signed documents are "The agreement on the intention to hold the Russian-Chinese student festival of winter sports" and "The memorandum of cooperation in the spheres of additional education for children and the organization of children's recreation and health care." Tatyana Golikova arrived in Beijing ahead of Russian Prime Minister Dmitry Medvedev's visit to China, which will take place on November 5-7. During her stay in the Chinese capital the deputy prime minister held negotiations with Vice Premier of the People's Republic of China Sun Chunlan and attended the 19th session of the Russian-Chinese Commission for Humanitarian Cooperation, the ceremony of the establishment of the Russian-Chinese Association for Cooperation in the Sphere of Television, as well as the launch of an online column on humanitarian ties and cooperation between Russia and China in a mobile application.